Victoria is not only home to some of the best views and scenery in Canada but is also home to a thriving entrepreneurial scene. Nearly a 1000 tech companies operate in the city and thousands more, from all different types of industries, are started each year in Victoria. Trying to expand your business with new capital? Read this first. No matter what type of business you run or industry you’re apart of, one thing remains constant, starting and running a business will cost a lot of money. While some entrepreneurs have the money or funding to operate, most will have to rely on some sort of business loan. The first step to securing a business loan is to apply for one. It would be great if lenders gave out business loans to every company that needs them, but that isn’t the case. As a result, you need to prove to the lender that your company not only needs the loan but also that you will be able to pay it back on time. The first thing to do to give yourself a good chance of being approved for a business loan is to make sure all of your business and personal finances are in order. You need to make sure any debt you have is at a manageable level and that your credit is in a good place. Lenders will look at a variety of different financial aspects of the business, so ensure everything is in good shape before applying. Want to learn about your business credit report and credit score? Check this out. Next, you’ll want to find the right lender. There are likely dozens of business lenders in your area, each with their own unique benefits and drawbacks. Some might offer better rates, while others might have more customizable or flexible terms. It is up to you to decide which lender provides the best loan for your unique needs. Of course, whoever you go with, they should have experience working with business owners and have a good reputation. Click here so you can avoid predatory small business lenders. 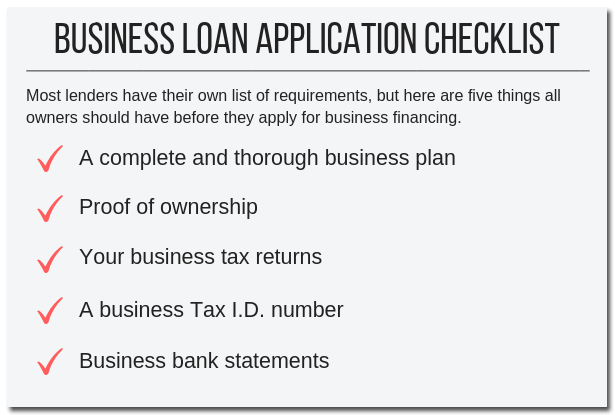 Be sure to know what you want to use the business loan for. Most lenders will want to see some sort of a business plan so they can understand how you plan to use the loan to grow and improve your company. This isn’t always the case, but it couldn’t hurt to have something prepared in case they are curious. Read this article if you’d like to make your business greener. How to Use a Business Loan? While securing a large business loan might seem like a good idea to get you ahead of the game, you should generally only borrow what you need and what you can afford to pay back. If you take out a loan you can barely afford, and then your sales begin to dip, you might struggle to pay back the loan. This could ultimately lead to your business failing. As for which one you choose, that is completely up to you. Each has their own pros and cons, and the right choice will differ depending on the type of business you have, what you need, the size of your business and your revenue. Having trouble dealing with your small business debt? Look here for a solution. If you have a business in Victoria and need some funding, a business loan is a great option. If you need some assistance finding the right business loan for your needs, be sure to contact Loans Canada. We are confident we can help you find exactly what you’re looking for.